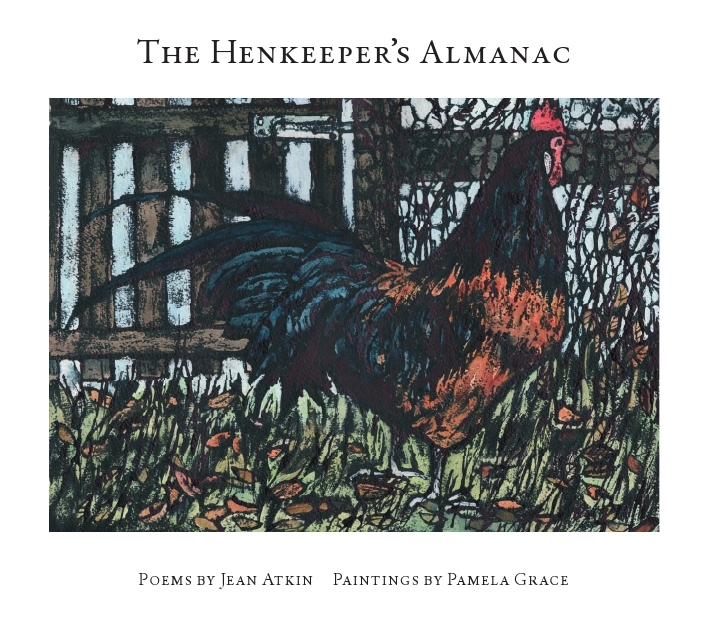 The Henkeeper’s Almanac is an artists’ book. It contains a poem and a painting for each month of the year. ‘A beautifully produced pamphlet and a ‘must have’ for all henkeepers, this collaboration between poet and painter makes a delightful and rewarding read for anyone. There are many felicities in the spare and well-crafted poems, such as the unforgettable description of finding a clutch of eggs ‘warm to the hand / like a satin slip / just taken off’ or the image of the cockerel as he ‘spurs his way / up the hill’. Review by Joy Howard, Grey Hen Press. And it’s delightful to be able to tell you that the poem March Araucana from The Henkeeper’s Almanac, has been anthologised by Candlestick Press in Twelve Poems About Chickens. You can find it here.